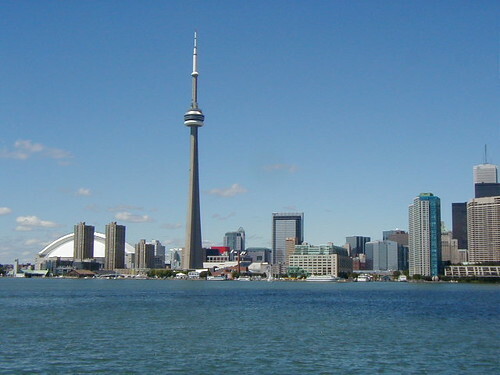 5 Ways to Make Your Mozilla Summit in Toronto More Awesome | Mozilla T.O. The Mozilla Summit 2013 is a few days away and Mozillians from all over the globe will be trickling into Toronto, some new to the city, and some already familiar with the ins and outs of the locale. Toronto would be a unique Summit event where the Mozilla office location is very close to the Summit location. It would be a great opportunity for staff and volunteers alike to take a peek at the very nice office space. The Mozilla Toronto community holds events in the community space regularly and we’re happy to have a home court to do Mozilla stuff– defintely a must for a first-time Mozillian visitor. Given the distributed nature of Mozilla teams–It’s not uncommon in Mozilla where staff from San Francisco work with volunteers from Tunisia and Indonesia– it would be totally great to finally meet the people who comment, approve, or respond to your emails and Bugzilla requests. Programs like the Mozilla Reps, which is very a good example of a globally distributed team, the Summit is a perfect way to meet colleagues from different regions. If you’re a bit more adventurous and , you can try going to the Distillery District and St. Lawrence Market. During breaks and free time in the evening, feel free to roam the city and even visit the notable landmarks, such as the CN Tower, the Waterfront, The TIFF Lightbox, the aforementioned Distillery District, St. Lawrence Market, Kensington Market, Dundas Square. Don’t be afraid to pull-off a Tourist move like a selfie with those locations. Finally, once you’re out and about the city, feel free to spread the word about Mozilla and its mission. Many people will be curious about the Mozilla shirt-wearing horde all around the city and this would be the perfect opportunity to tell them about Mozilla and the Summit. For a bit of a reference, point Toronto locals to the Toronto site (to.mozillacanada.org), if they are interested in knowing more about what’s happening in the city. So that’s the list, but the Summit is best experience when it is made and owned by the Mozillian, and shared with the community. Feel free to hack and submit suggestions to this list! Opting for mathematics means he/she will have to buy college essays online face challenges of clearing iitjee, aieee and other engineering entrance exams after class 12th. I have been using Mozilla Firefox for some years on my Dell PC’s and love it. We live in Ottawa , and I would be interested in volunteering in some ways. Please contact me so I can get a helpful response by someone who is knowledgeable ,instead of from a one of the many support persons in the field who know very little about specific problems, are slow I solving them and rather expensive. An early and detailed response would be appreciated. Fantastic Grouped Tabs ! Allows for speedy, accurate tab navigation. Hands-down, FireFox is the best.